Once you start looking, food is all around you, much of it as daily annoyances: blackberries, dandelions, pigeons and possum, deer, elk and porcupine. 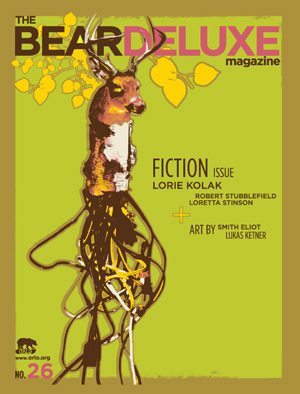 The Bear Deluxe Magazine, published by ORLO, an Oregon den of art + enviro-ethos, calls for your found recipes. “What about the fresh, free range and seasonably produced food sources that go unclaimed, unharvested, and, most importantly, undigested?” they ask in response to the locavore movement. Enter the contest with your grandmother’s recipe for those berries in the back or your uncle’s venison sausage or your own cream of mushroom-from-the-driveway soup and a short narrative about why it’s important to eat these things. Your recipe could go out to its 50,000 readers this spring. Deadline Feb 15. Email bear@orlo.org for more information.